In a random haze of distraction I joined Jewelmint to check it out sometime this month and while I don't wear loads of jewelry I tend to have a weakness for pretty vintage costume jewels so it's been fun ogling the goods. But my problem is I never know what to buy. If I buy a pretty bauble I like it never goes with anything I own. In fact I am IN LOVE with a necklace and ring on there that I wouldn't have a clue how to wear because of how unique they are. Anywho, I received two related emails from them Monday night and had to share the basics real fast. Add some sparkle to the season with this exclusive selection of beauty products by brands we love. 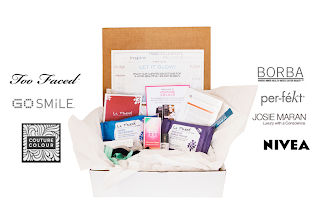 Each BeautyBox is packed with 12 or more products (up to a $164 value!) 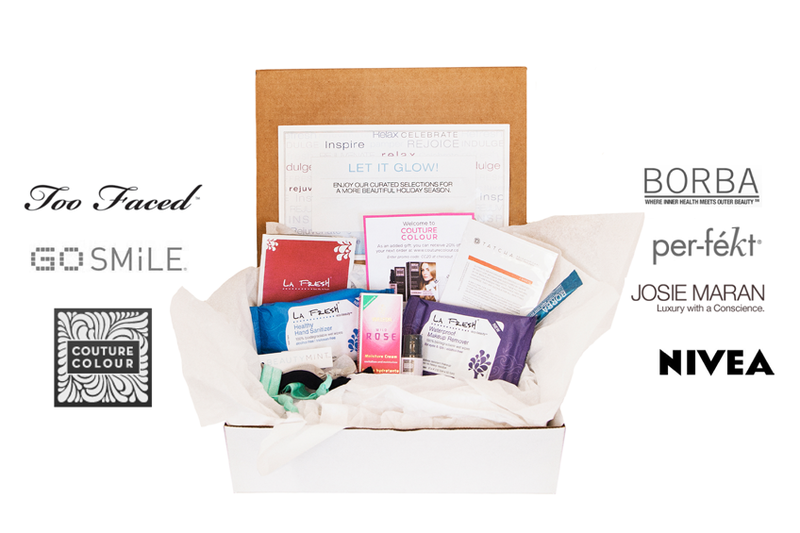 in full, travel and deluxe sample sizes, plus coupons for future purchases. Includes must-have items from Too Faced, Josie Maran, Couture Colour, Nivea, Weleda, GoSmile, LA Fresh, BORBA, Perfekt and more! No returns. Sales are final. Now I have no idea exactly what is in it or if the above pictured box is what it is but I threw caution to the wind and splurged on it. I've been in an uber beauty junkie phase of late so I thought since it's at a value of $164 and I'm only paying about $34? Can't be a totally bad deal. Plus I can try some new brands then share the details here. I'm pretty sure all you need is a Shoemint account (Beachmint is the inclusive of Jewelmint, Shoemint, etc.) to pick one up. Jewelmint Membership is required and easy to sign up for. This New Year, grab a WonderMint Mystery bag and resolve to welcome 2012 as the most fabulous version of yourself! Complete with at least 2 best-selling JewelMint pieces, plus StyleMint, ShoeMint and BeautyMint coupons and special Mystery Bonus Prizes, you'll savor the surprise packed in every bag! Why not buy one…or two, or three? If you're new to Jewelmint you can use promo code RETAIL for a 55% newbie discount too! I used it on my first bag then, I actually went and ordered 2 more bags (I got 10% off next piece promo code from that first purchase!) after I started writing this post. I thought I might do a giveaway for one of the pieces if I get doubles or something. I kind of have my fingers-crossed that a certain couple of pieces are NOT in my bags 'cause there are some I think are fugly but overall so many are just beautiful. Wish me luck!